So what makes these speakers special? 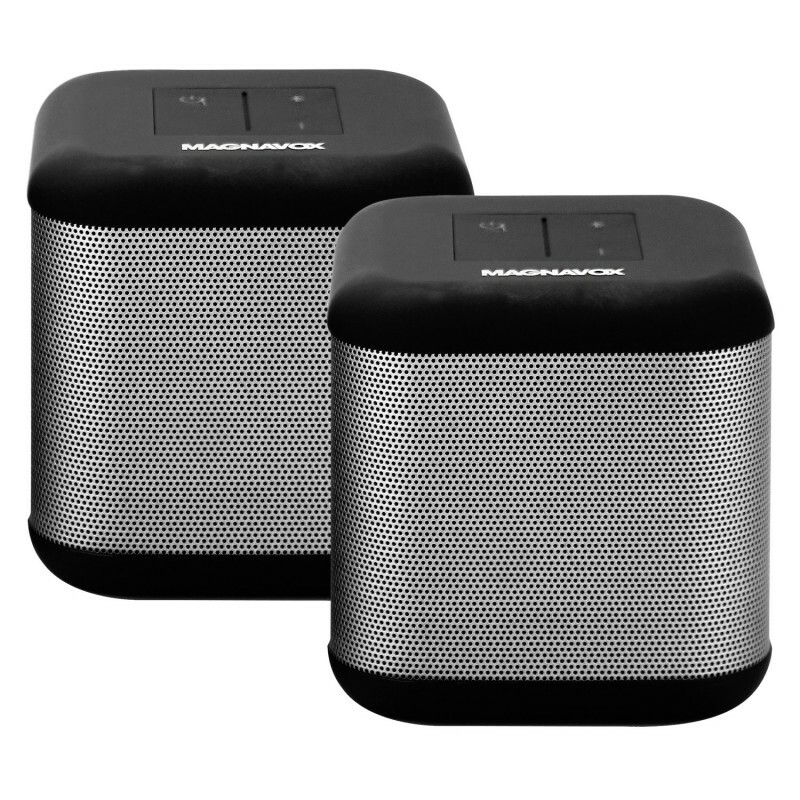 The Magnavox MMA3627 is a set of two speakers that can be used individually or paired together with just the click of a button for an immersive experience that can fill the room. Our Advanced Digital Signal Processing (DSP) technology will give you crisp clean audio whether you are using an independent speaker to keep it personal or have them paired up to start the party. The thing that really makes this speaker special is the hi tech 360 degree virtual surround sound which brings even the classics to life. These Magnavox speakers will revolutionize the way you listen to music with its simple connectivity. 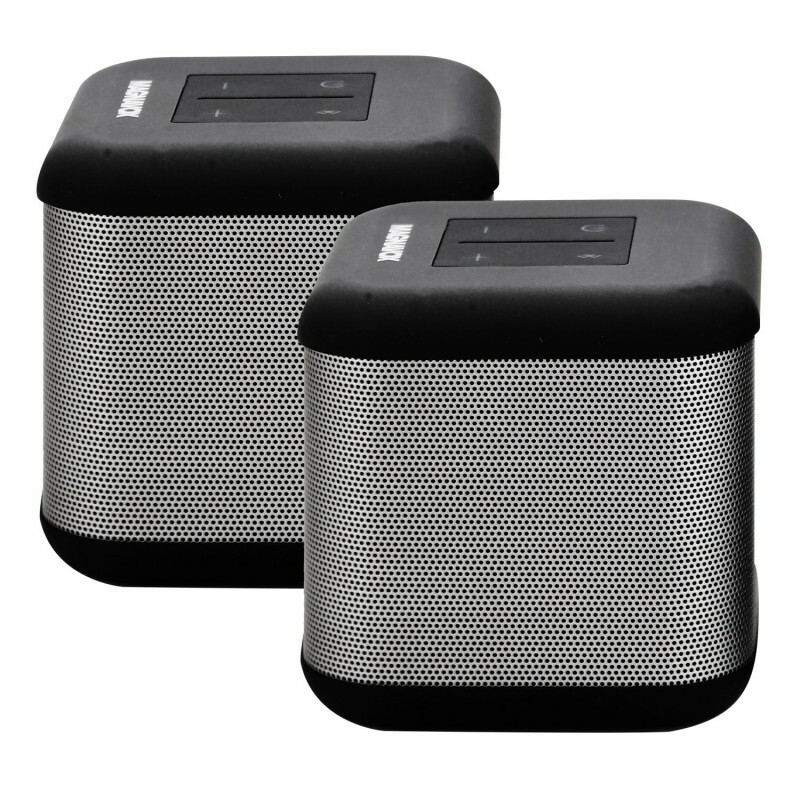 If you add in the Bluetooth 4.1 low energy consumption allowing for a longer, enjoyable music session. 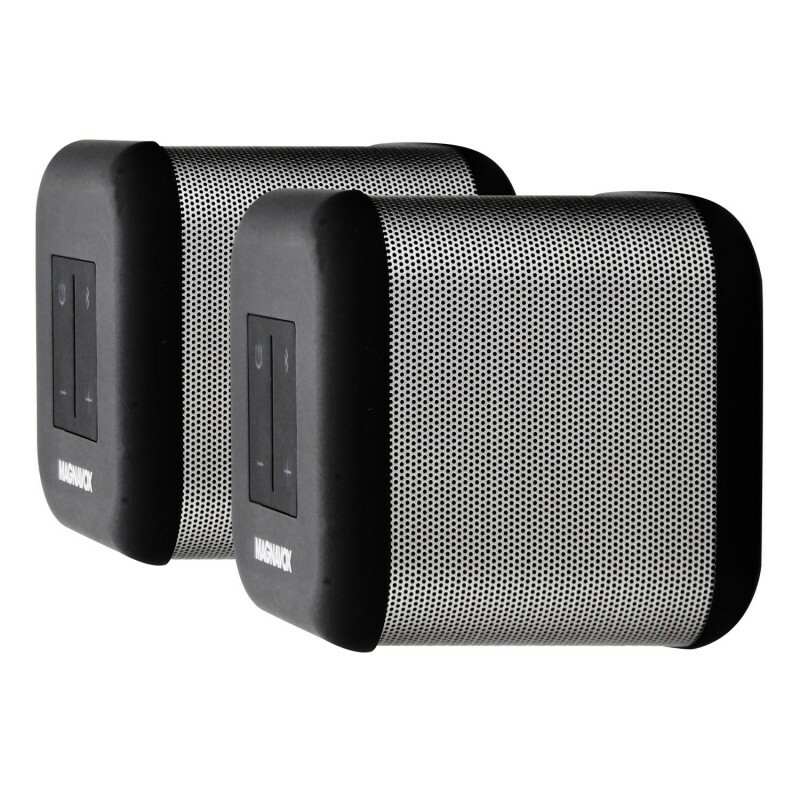 These durable speakers also bring a 3.5mm Aux port to easily connect a huge variety of devices from vinyl players to the classic iPod you just found under the bed. All at just the click of a button! • One click button to switch between Independent and Paired mode easily.